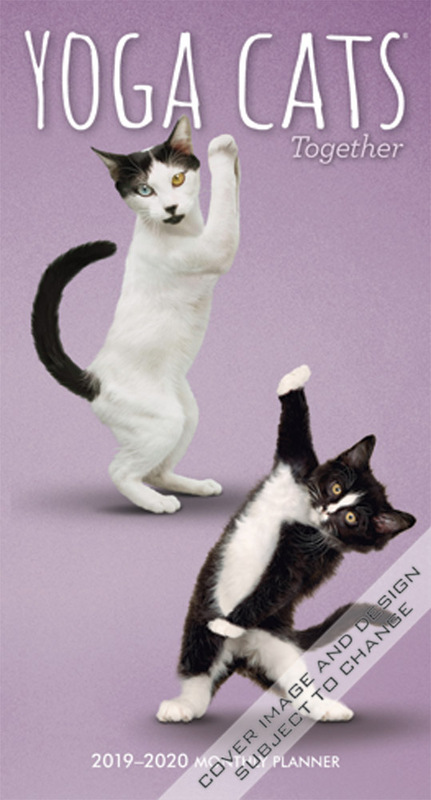 From the mind that brought you the best-selling Yoga Cats calendar, comes this a-meow-sing Yoga Cats Together planner. This softbound, two-year (2019–2020) planner is essential for portable monthly and long-range planning. Unfolding from a convenient 3.5″ x 6.5’’ size into a 7″ x 6.5″ monthly calendar grid, this format is only slightly larger than a checkbook and fits perfectly in a pocket or purse. Notable features include a striking wraparound cover image, planning pages for 2018, and additional pages for notes. This entry was posted in Calendar Showcase, Pocket Planners on January 9, 2019 by platoadmin. 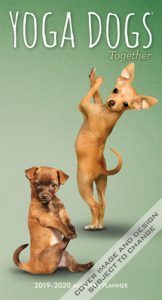 From the mind that brought you the best-selling Yoga Dogs calendar, comes this Yoga Dogs Together planner. This softbound, two-year (2019–2020) planner is essential for portable monthly and long-range planning. 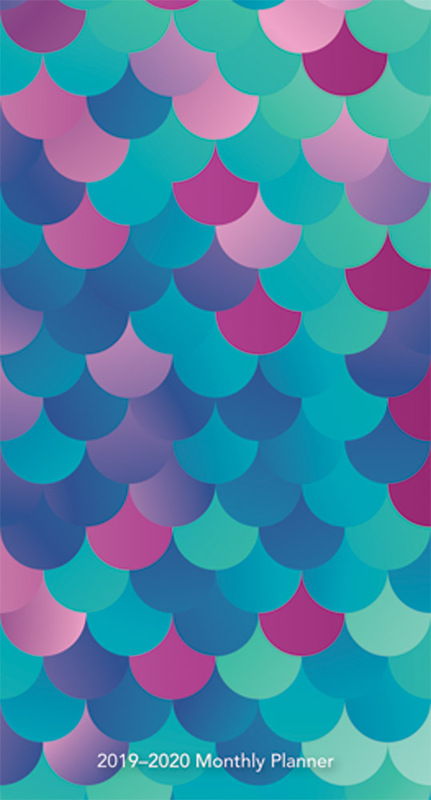 Unfolding from a convenient 3.5″ x 6.5’’ size into a 7″ x 6.5″ monthly calendar grid, this format is only slightly larger than a checkbook and fits perfectly in a pocket or purse. Notable features include a striking wraparound cover image, planning pages for 2018, and additional pages for notes. This entry was posted in Calendar Showcase, Pocket Planners on November 18, 2018 by platoadmin. Sylvia Plath was an American poet, novelist, and short story writer, born in Boston. She was famous for confessional poetry, and is best known for two collections. Ariel was the second collection of Plath’s poetry to be published. Book was published in 1965, two years after her death by suicide. This convenient planner celebrates amazing artist and poet, and helps you stay organized. This entry was posted in Calendar Showcase, Pocket Planners on August 1, 2018 by platoadmin.